When my Nephew was 12-13 yrs old, I thought I’d go over and help him fix up his room to make it look cool. As things tend to go with me, I got a little carried away. 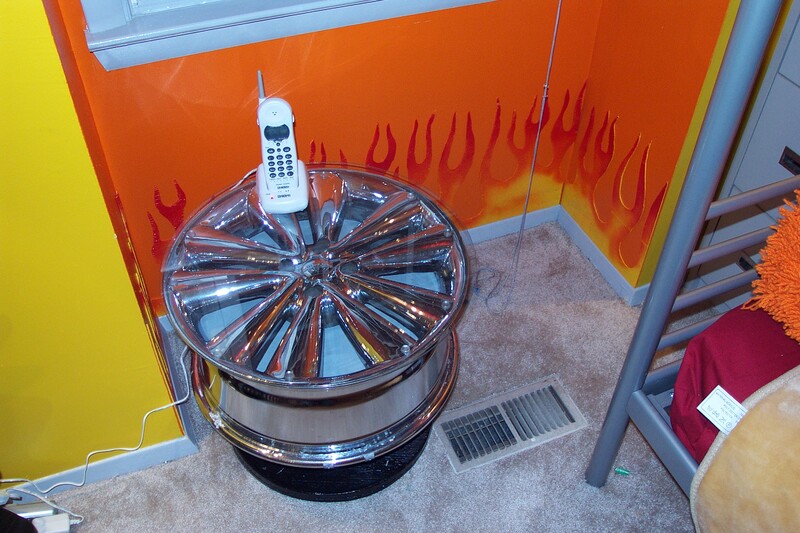 We started with a blank room and started out to make the room a Garage Room with a kick. We started by painting the room bright yellow with a gray ceiling and orange window bump-out. We added a few nice custom objects. 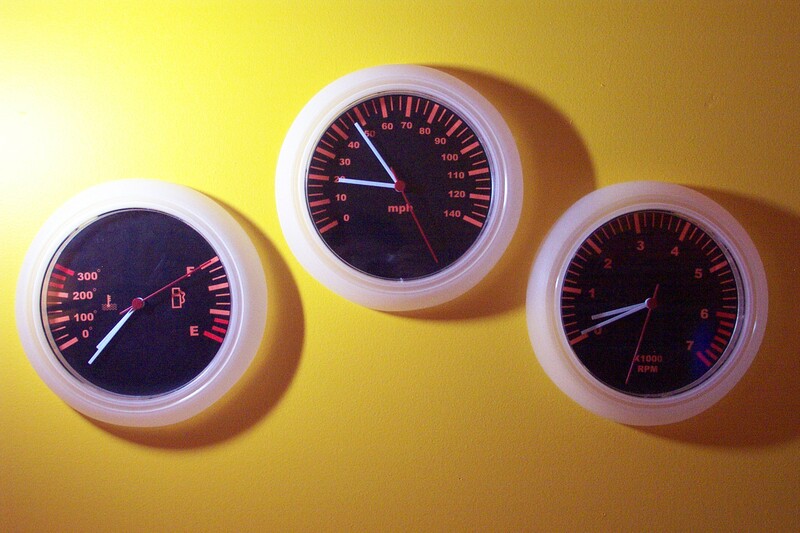 We created gauges on the wall with some clocks from IKEA. Replaced the ceiling light with a yellow drop-cord light. I created a Mag Wheel Table with an old wooden spool and a chrome rim. I hit up a custom wheel shop and acquired a rim that would no longer hold air and bolted it to the rim. Topping it off with a nice piece of class from an art store created a one-of-a-kind nightstand. 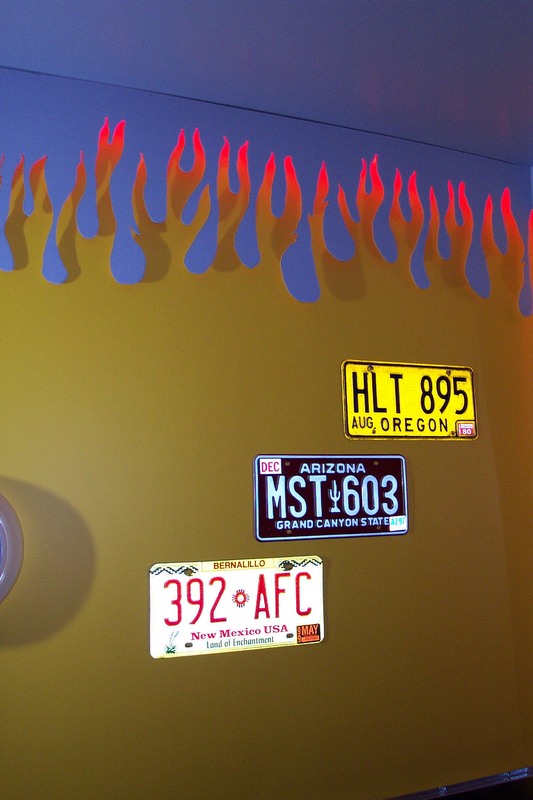 I also got a few people to donate old license plates for wall art. The desk, bookshelf, and chair all came from a state surplus center. 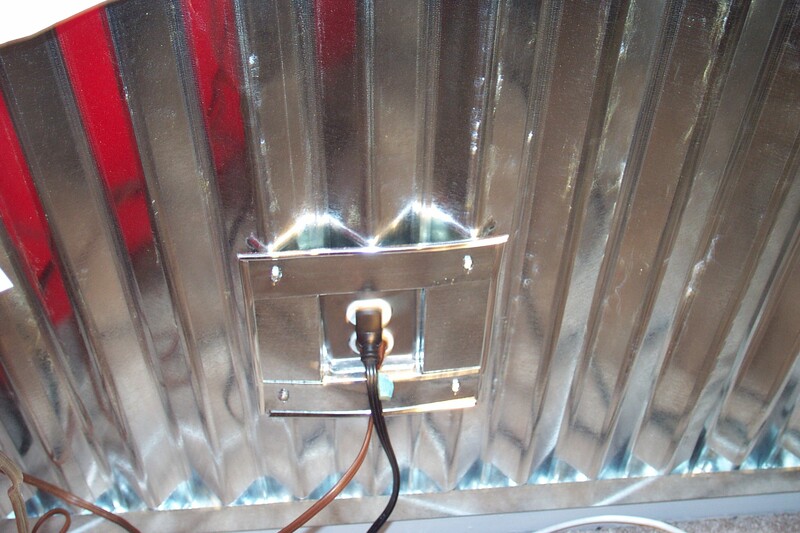 The walls had metal wainscoting where I even had to craft a special outlet plate. Thinking back on it, metal framing for the plate was probably not the best idea. The two coolest things for the room were the old secretary that I painted red to make a work center and storage piece that looked like a toolbox. 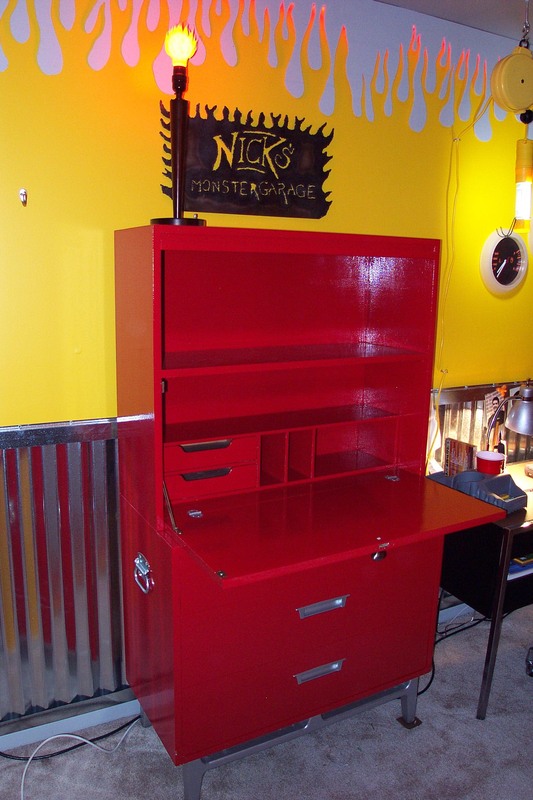 We painted it with red Rustoleum paint and added toolbox handles. 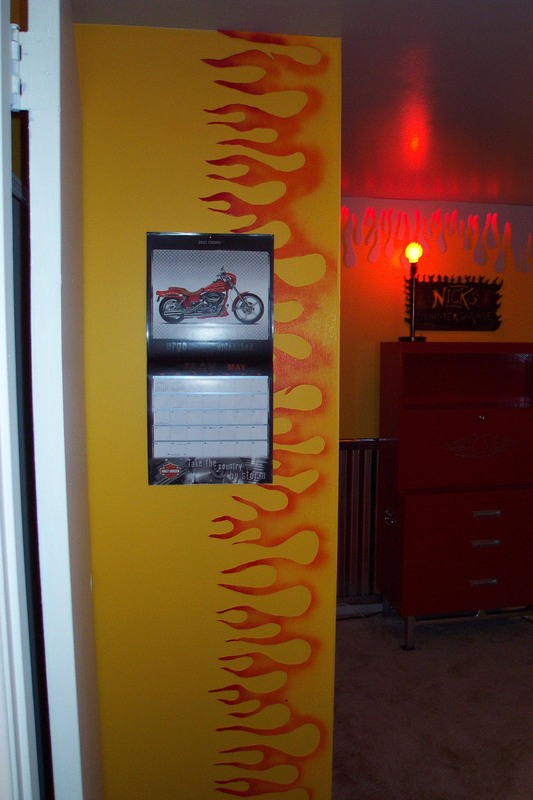 We also cut out custom flames out of luann using a rotozip cutter. This took forever and broke a lot of bits. (I’m not saying we did not do it correctly but who knows). 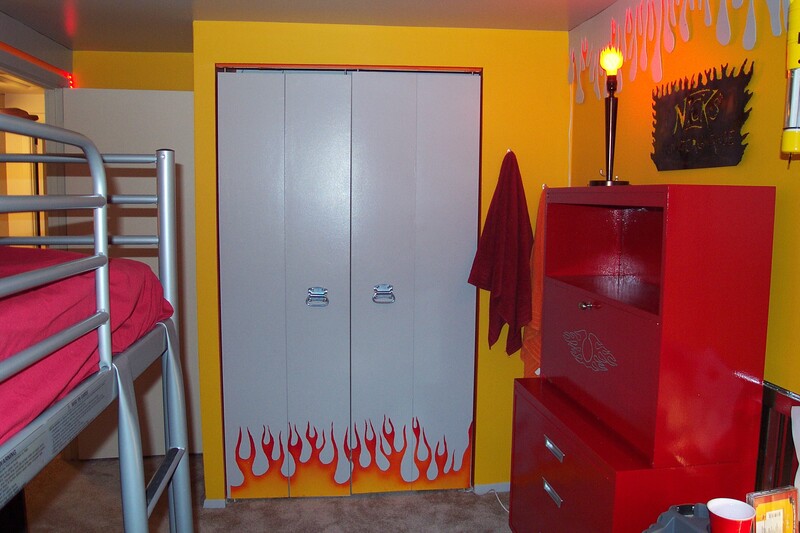 My nephew painted the flame pieces for placement around the room and we used the inverse pieces around the ceiling (with red rope lighting behind). This worked out really nice. The flames were great and the inverse of the flames looked awesome as the red light faded into the yellow walls. I hope you enjoy. 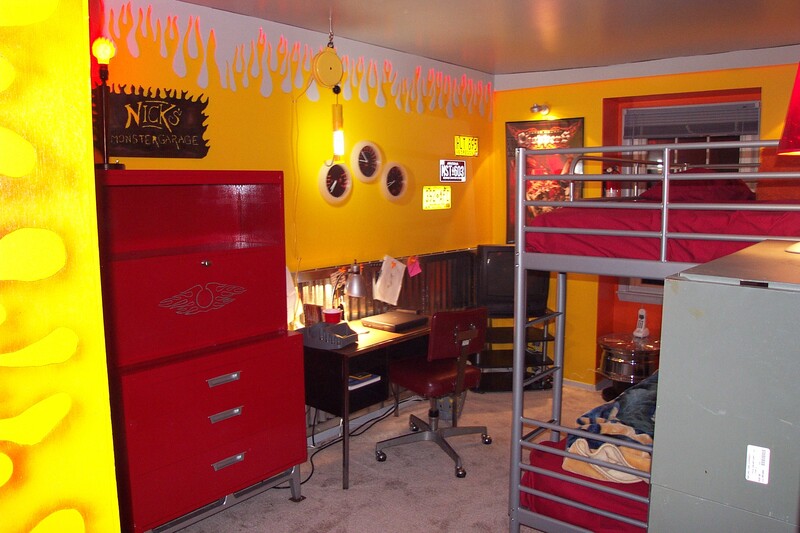 This entry was posted in Rooms and tagged bed room, boy's room, boysroom, fire, garage, kidsroom, monster garage, yellow. Bookmark the permalink.